DART Trace can run a wide variety of courses built with DART Creator or DART Studio. The Courses menu provides options for loading and running these courses, and running a basic practice course. This will run the currently loaded course. Running a course will reset all values, scores, and timers. An infinite variety of courses can be created in DART Creator and DART Studio software. 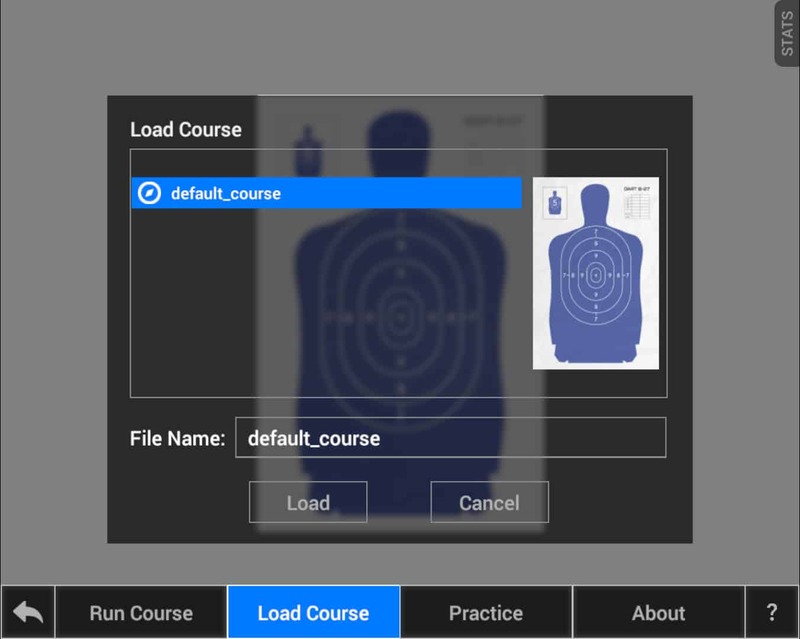 Those courses, with their varying targets and stages, can be loaded into DART Trace using the Load Course button. Note: DART Creator and DART Studio can create courses with multiple stages, conditional rules, and scoring. However, many of these functions are ignored in DART Trace, which focuses on shooting mechanics rather than reaction speed and discretionary shooting. In addition, DART Trace is limited to ten shots. After the tenth shot, Trace will enter analysis mode. If you load a course that allows more than ten shots, Trace will automatically end once the tenth shot is made. There will be times when you want to practice shooting without the restrictions of a course. 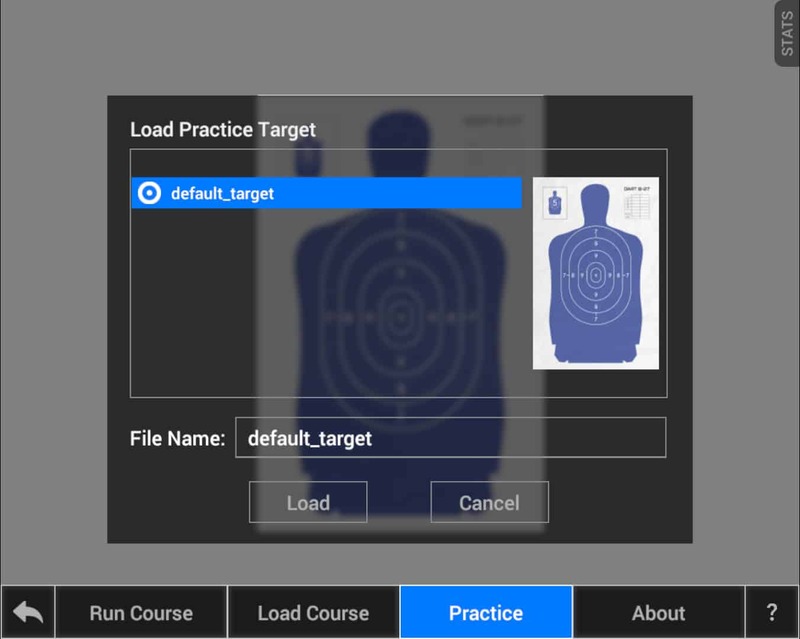 The Practice option allows you to quickly load any target and practice shooting without the need of running through a full course. Clicking the About button will open a dialog containing the version number of DART Trace. You may be asked for this information if you ever need technical assistance.